Delegates at Africa Climate Week (ACW) in Accra city, Ghana that’s happening in the backdrop of the devastating cyclone Idai, are acknowledging the urgency to put in place mechanisms to deal with natural disasters that will become more frequent and intense owing to climate change. 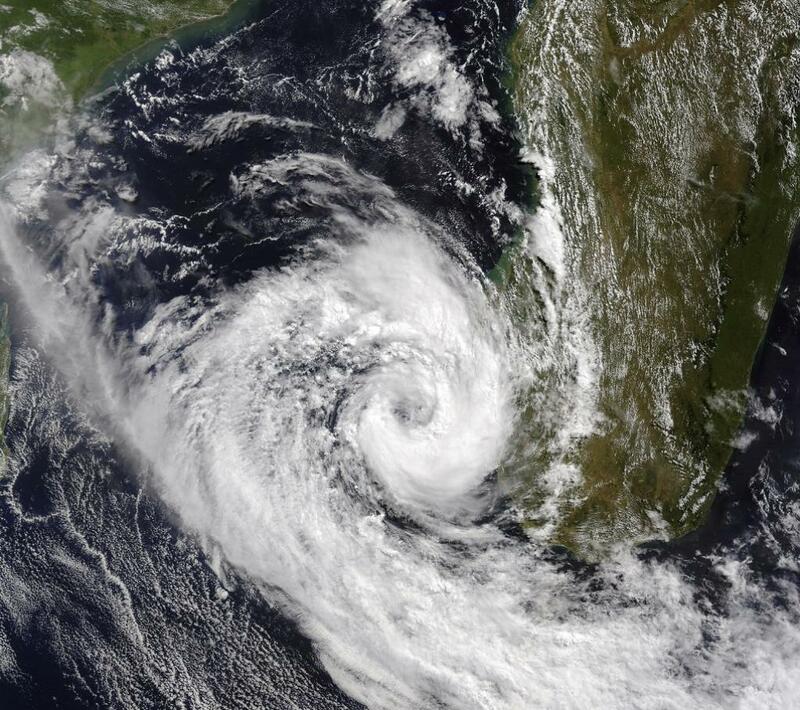 The cyclone has killed at least 371 people in Mozambique, Zimbabwe and Malawi. Many others are missing or feared dead. The disaster has not ended and thousands of people are still trapped in villages and towns due to the flooding caused by incessant rainfall. In fact, satellite imagery released by the European Space Agency (ESA) showed that in the port city of Beira in Mozambique a new in land lake measuring 125X25 kilometres has formed with no information about the people living there. This is when a week has passed since the cyclone first struck the Mozambique coast. “The cyclone is a stark reminder of the moral imperative to act on climate change, which experts say is exacerbating such storms,” reads a press release from ACW published by the United Nations Climate Change News. The storm is already being touted as one of the worst natural disasters in the southern hemisphere. The International Finance Corporation says the cost of financing these solutions is $23 trillion by 2030, estimating the nationally determined contributions (NDCs) of 21 emerging market economies. The Paris Agreement on Climate Change signed by 175 parties aims to limit the global rise in temperatures to less than 2 degrees Celsius and, if possible, make it even less than 1.5 degrees Celsius. There are many concerns around the support systems required for the 54 African nations to financially tide them over exigencies caused by climate change. This is when African countries are historically the least responsible for greenhouse gas emissions that cause climate change but bear the greatest brunt of the possible consequences like Cyclone Idai. While Africa is responsible for barely seven per cent of the total greenhouse gas burden of the world, more than 2,000 natural disasters have hit Africa since 1970 affecting 500 million people and killing 0.9 million. This means that with the right support systems in place, public finance can be used more strategically to attract private sector players and increase investments in climate-friendly clean energy technologies. There have also been some positive events regarding climate financing in Africa in recent time. “The World Bank last week announced $22.5 billion over 2021-2025 in climate support in Africa – a commitment which acted as a precursor to their co-hosting of a Carbon Pricing Day on the margins of the Africa Climate Week, highlighting how innovative policies and programs can mobilise climate investments, drive social benefits, and reduce carbon pollutions,” says the UN press release. ACW will conclude on March 22, 2019 and the delegates will present its outcomes to the Special Envoy for UN Climate Action Summit Luis Alfonso de Alba. This will be a critical input to the UN Secretary General’s climate change event on September 23, 2019.